At an event in New York last week, Apple introduced the audience and the world to its latest lineup of iPads and Macs for 2018 by unveiling new models of MacBook Air, Mac mini, and iPad Pro. While the Mac upgrades were a long time coming, it’s really the updates to the iPad Pro lineup that are far more remarkable and substantial. The iPad holds a special place in Apple’s entire product bouquet, and the company has been pushing really hard to market it as the computer of the future. 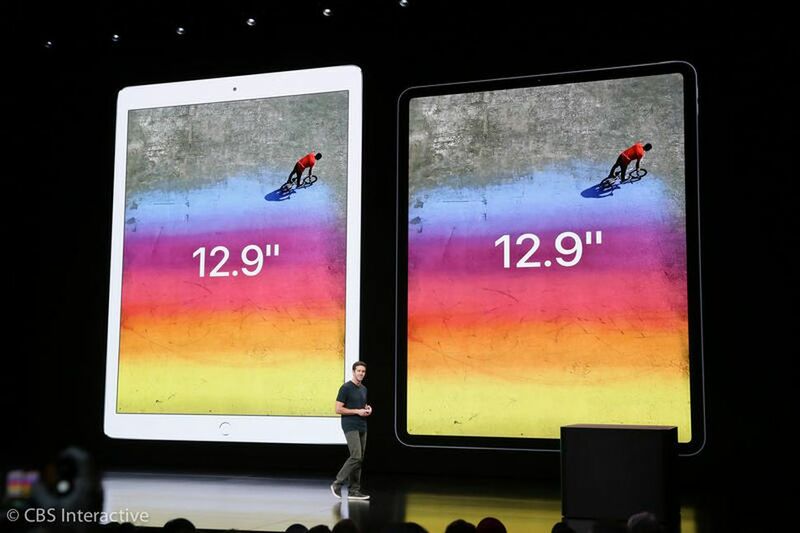 So it’s no surprise that the company has added some ground-breaking features to the 2018 iPad Pro. Both the 11” and 12.9” iPad Pros, announced by Apple last week and releasing publicly starting today, feature a completely new design, gorgeous screens, almost-bezel-less displays with rounded corners, Face ID, new iPhone X like gestures, and remarkably powerful processors that rival some of the company’s own Macs. At Readdle, we have always strived hard to offer the best user experience to our users in our apps. 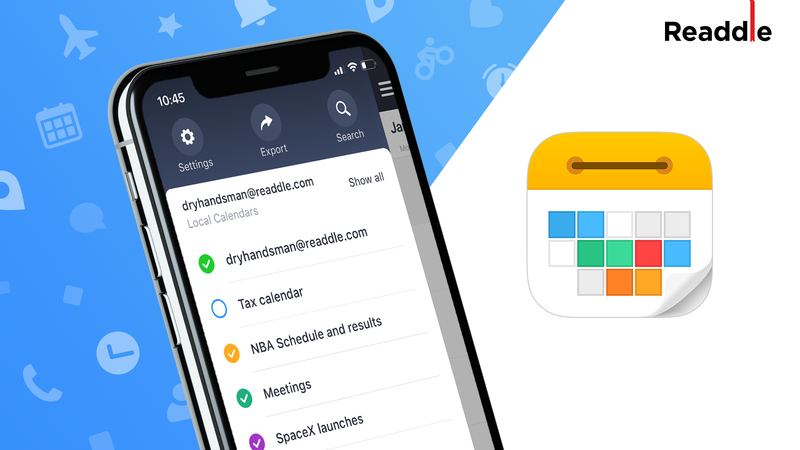 We make apps that let you take full advantage of the features offered by your iOS and Mac devices, all while making you more productive and efficient. Since last week’s announcement, our designers and engineers have been hard at work crafting an update to PDF Expert and getting it ready for the new iPad Pros. When you get your hands on the new 11-inch of 12.9” iPad Pros and launch PDF Expert, you’re gonna love what you see. The new PDF Expert update features a new layout design that adapts to the rounded corners of the new iPads. When you view any document on the Liquid Retina screens of the new iPad Pros, your content will look absolutely gorgeous, crisp, and will be displayed on the edge-to-edge display while adapting to the rounded corners. Apple also introduced an all-new second-generation Apple Pencil last week that features a new double-tap gesture. This double-tap gesture can be customized by third-party apps, and we’re happy to announce that the new PDF Expert update supports these new gestures. Now when you have a document open in PDF Expert and you double-tap on the 2nd generation Apple Pencil, you can switch between the annotation tools, select a different color or activate an eraser tool. 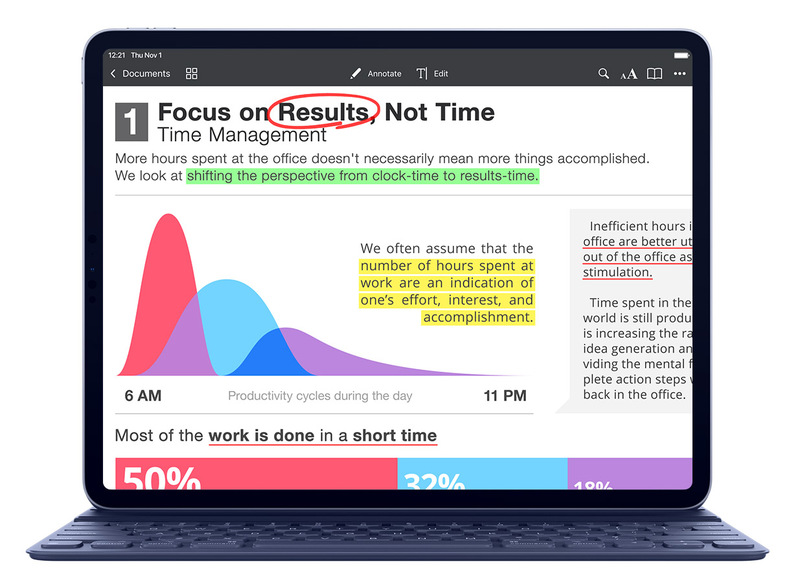 With this, annotating a PDF document with the Apple Pencil is quick and easy. The combination of the 2018 iPad Pros and PDF Expert for iOS makes an excellent “digital slate” on the go. With the beautiful ‘all-screen’ front of the iPad, coupled with the utility of the 2nd-gen Apple Pencil, your PDF Expert experience is only getting better. The 2018 iPads with all-screen displays make an excellent medium of collection visitor feedback or signatures. The new iPads are just 5.9mm thin and very lightweight, so you can simply hand over your iPads over to them so they can scribble in their feedback, and sign any PDF document using PDF Expert and the Apple Pencil. The 2018 iPads also make for an excellent reference screen. You can store hundreds and thousands of PDF documents in PDF Expert — new iPad Pros offer up to 1TB of internal storage — and refer to them later whenever needed. 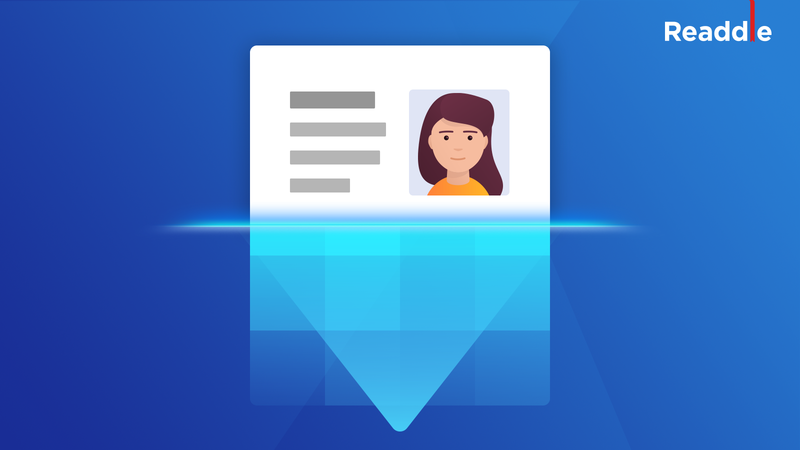 Imagine walking around with a gorgeous display in hand that can display any document you want, fully-searchable, and editable. We could only dream about such a future a few years ago. 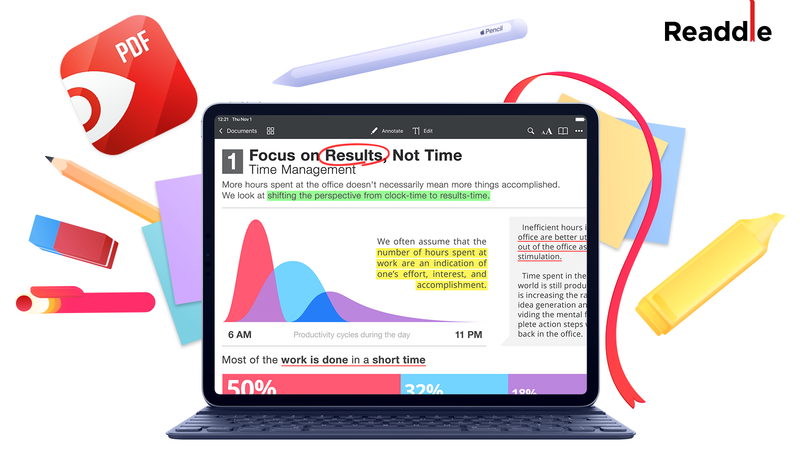 Today’s update available on the App Store with these new features makes PDF Expert one of the few apps out there to support the new iPad Pros and Apple Pencil on release day. As always, we at Readdle strive hard to deliver the best user experience in our apps. There’s a lot under-the-hood that has gone into making this possible, and we hope you like this update. Go ahead and download the free update to PDF Expert from the App Store. You’re gonna love it!